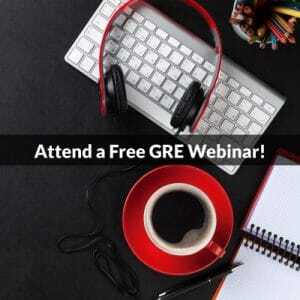 Last week, in response to the news that the ABA approved a proposal that formally removes the requirement that the LSAT be used for admissions purposes we discussed overall structural similarities between GRE and LSAT Reading Comprehension. This week we will compare in more detail similar question tasks on the GRE and the LSAT, specifically on GRE short and medium passage reading comp questions and LSAT Logical Reasoning question tasks. While we still strongly advise you to consider the LSAT first for law school admissions, you may find that there is some overlap between preparation you do for the LSAT and the GRE. Equipped with this knowledge, you will be able to make an informed choice between preparing for the LSAT or the GRE, especially if you are considering dual degree, MBA, or other graduate programs. 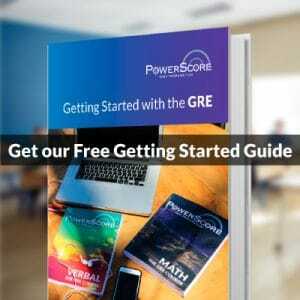 At PowerScore, we group LSAT Logical Reasoning questions and GRE short form reading comprehension questions into four families based on task and flow of information. Within these categories, LSAT questions can be further divided into thirteen common question tasks. The majority of these questions are drawn from the Prove and Help families. In contrast, GRE short passage questions are far more limited in scope, drawing primarily from the “Prove” family. On more difficult short passage questions, the GRE introduces concepts derived from the “Help” and “Hurt” families. In the previous post on LSAT vs GRE Reading Comprehension, we discussed the overall number of questions on each exam that test reading comprehension skills. More narrowly with respect to these questions, we may note that GRE questions that test principles of argumentation will be far less common than they are on the LSAT. Further, these GRE questions are less likely to test sophisticated fallacies or formal logic than are Logical Reasoning questions on the LSAT. However, there is one area in which the GRE goes more in depth than does the LSAT in critical thinking: the Argument Task essay, half of the Analytical Writing Measure. In this essay, students must evaluate an argument and write a thorough analysis of its reasoning, including a discussion of its flaws and suggestions for improvement. Nevertheless, the flaws in the stimuli for these Argument essays are usually both numerous and easy to spot with practice. The vast majority of fallacies on the GRE are causal. Hence, you do not need an in-depth knowledge of argumentation to write a compelling Argument essay. There is significant overlap between these tasks on both tests. Notice that on the GRE there is no mention of “above” because all the questions are in a browser frame adjacent to the passage. On a more substantive level, GRE questions tend to feature more concrete language and more direct references to topics within the passages. Further, even though the GRE short passages may only be linked to one question, these passages are on average longer than comparable Logical Reasoning stimuli on the LSAT. In fact, the majority of GRE questions that test principles of argumentation will be drawn from medium-length passages (around 300 words) that are accompanied by two or three questions. Finally, note that GRE questions sometimes instruct students to highlight a portion of the passage or to select multiple credited answer choices (these are the questions with square boxes instead of ovals for answer choices). While a student studying for either the GRE or LSAT may notice similarities in questions on the other test, it remains highly advisable that students consider each of these similar concepts in the context in which they appear on their respective tests. Essentially, a strong foundation in principles of argumentation and critical reasoning skills will serve students well on both tests, but distinctions both in task frequency and question structure mean preparation for one test is not by itself sufficient preparation for the other. In addition to the differences in nuance between the tests, GRE students must be prepared for the multiple choice-select one-or-more and select-in-passage question types, not to mention the computer-based interface; similarly, LSAT students must prepare for vastly more questions that test logical reasoning and for the more sophisticated concepts tested therein. If you have more questions about GRE preparation, we encourage you to register for and visit our free GRE forum, where you can receive expert advice and answers to your GRE questions. Likewise, our LSAT forum is unparalleled both as a source of information on the LSAT and for in-depth answers to your LSAT questions.